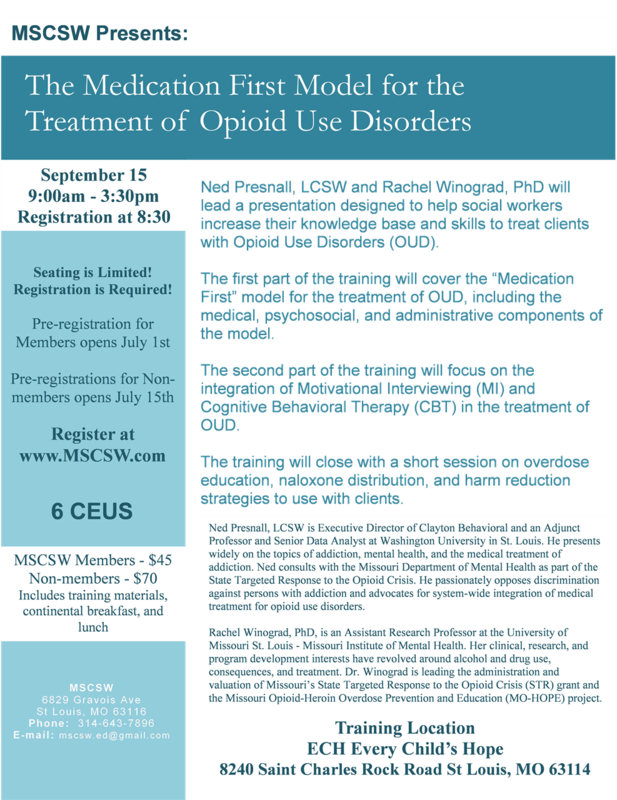 Ned Presnall, LCSW and Rachel Winograd, PhD will lead a presentation designed to help social workers increase their knowledge base and skills to treat clients with Opioid Use Disorders (OUD). The first part of the training will cover the “Medication First” model for the treatment of OUD, including the medical, psychosocial, and administrative components of the model. The second part of the training will focus on the integration of Motivational Interviewing (MI) and Cognitive Behavioral Therapy (CBT) in the treatment of OUD. The training will close with a short session on overdose education, naloxone distribution, and harm reduction strategies to use with clients.